Kapil Sharma's Rival Krushna Abhishek Might Team Up With Sunil Grover, Ali Asgar. Checkmate? 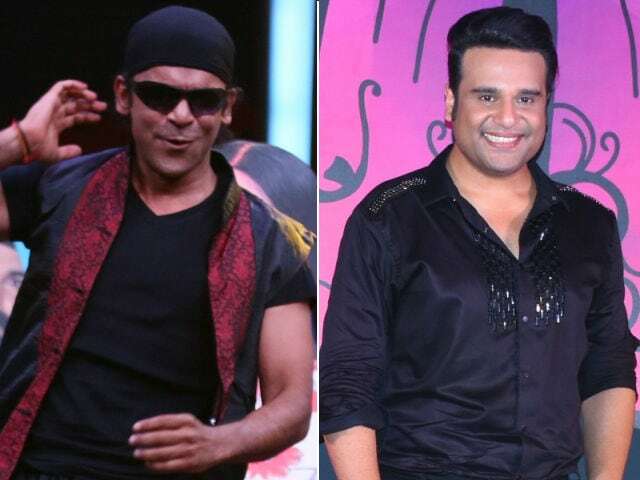 Sunil Grover and Krushna Abhishek's show is tentatively titled Comedy Company. Sunil Grover is set to join Krushna Abhishek's new television show, tentatively titled Comedy Company, reports Times Of India. Sunil Grover quit comedian Kapil Sharma's show after their alleged mid-air altercation in March. Apart from Sunil Grover, comedians Chandan Prabhakar and Ali Asgar (who also worked in The Kapil Sharma Show) are in line to sign up for the new comedy show. Ali Asgar recently quit Kapil Sharma's show citing 'creative differences.' He told news agency IANS on Tuesday: "My character wasn't going anywhere and it was becoming stagnant and I felt there was no scope for creative improvement." Meanwhile, a source close to the new show told Times Of India: "It will revolve around a family that intends to pursue theatre. Like Kapil, Krushna will also invite celebrities and converse with them during the course of the show." Of his new show, Ali Asgar told IANS: "My next show is not creatively locked yet, there is still time, but we are working on it and if it happens people will be able to see all of us again on small screen." Actors apart, the creative director of The Kapil Sharma Show, Preeti Simoes, will also reportedly join Krushna and Sunil's team. Comedy Company will be aired on the same channel which broadcasts The Kapil Sharma Show. The source also told Times Of India that Kapil Sharma's show will probably be taken off air. Kapil Sharma and Krushna Abhishek are rivals of sorts - everyone knows that. Last year, Kapil had a meltdown with Colors channel, which aired his show Comedy nights With Kapil. The comedian refashioned his show as The Kapil Sharma Show and shifted to another channel with all his co-stars. Kapil's show was replaced by Krushna's Comedy Nights Live. Ever since, Krushna indirectly invoked Kapil Sharma in his one-liners but later told The Indian Express: "I would love to work with him. There's no issue." In March, Kapil Sharma reportedly verbally abused and threw a shoe at Sunil Grover while they were travelling with their team from Australia to India. Sunil Grover, who has worked in films like Shivaay and Gabbar Is Back, quit the show almost immediately after the incident. Kapil Sharma apologized to Sunil Grover, but the latter was in no mood to forgive the former. Sunil Grover featured as Dr Mashoor Gulati and Rinku Bhabhi on the show and he reprised the role of his onscreen alter ego in several shows for Sony, which airs The Kapil Sharma Show. Meanwhile, Sunil Grover and Ali Asgar are reportedly all set to host a television show conceptualised for the promotion of Salman Khan's upcoming film Tubelight, which releases on June 23.